Hello Hello! It's the third Thursday of the month, so you know what that means right???????? We are here today to not only to share with you the randomly selected Mix It Up Challenge particpant who will be receiving a $50 gift certificate to the store, but also to announce our next Pin-Sights challenge!!!!!!! 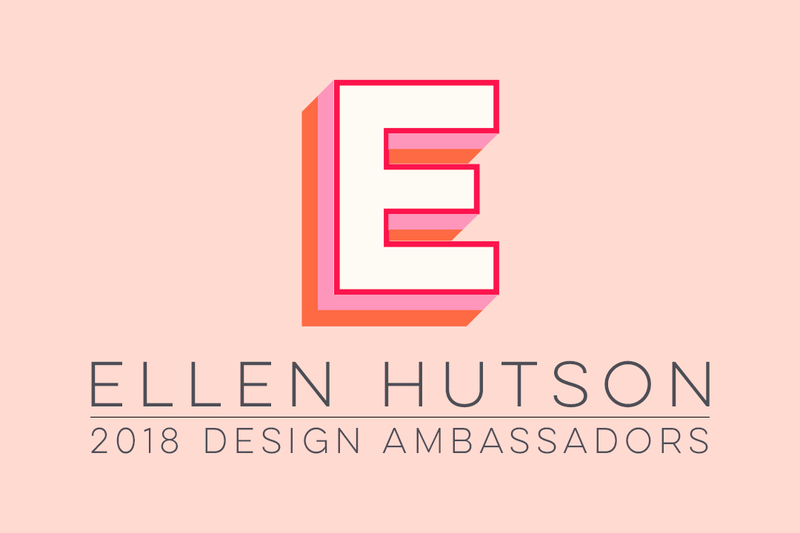 But first, please put your hands together for Niki Cee, who was randomly selected to receive a $50 gift certificate to the Ellen Hutson store!!! Please email me at (laurelbeard at me dot com) to claim your prize!!! Now, let's get to today's challenge!!! What is the Pin-Sights Challenge you ask???? It’s an inspiration challenge based on a Pinterest inspired piece to spark your imagination and creativity that will be held on the 3rd Thursday of every month! Isn't it gorgeous? The colors, patterns and font???? Absolutely delicious! We have THREE amazing designers here today to spark your creativity with their talents based on the inspiration piece. If you click on each of the designer's names, you will be taken directly to their blog to see more information and photos (and maybe even a how to video)! All the supplies the designers used will be listed at the end of this post along with our Challenge Link up so you can play along! So... are you ready to be inspired????? Seriously, those projects were just awesome, weren't they? I love how they are are so different, yet based off the same inspiration piece!! These ladies really knocked it out of the park!!!! Now it's time where we invite YOU to play along in our challenge! ALL CHALLENGE ENTRIES WILL BE PINNED TO OUR ELLEN HUTSON PINTEREST PAGE!! AND, we have a new Flickr Group!!!! We would love for you to join our group and tag your photos!!!! To qualify, simply use any Essentials by Ellen product and create a project based on the inspirational piece. You can create anything.. A card, scrapbook layout, mixed media, altered art... The works. You have until April 29th to link up your projects below. You will find the link up at the end of this post. The will be announced on May 7th.